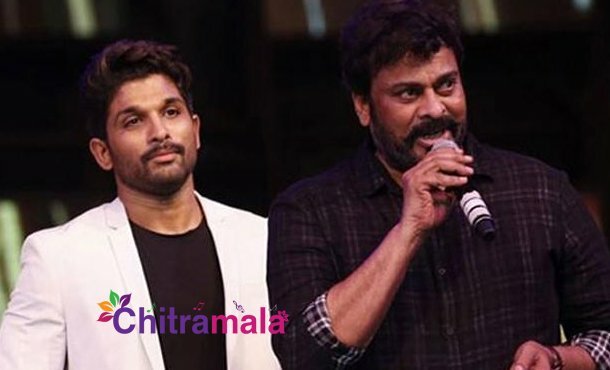 Mega Star Chiranjeevi is currently busy with the prestigious project Sye Raa Narasimha Reddy. Directed by Surender Reddy, the film is produced by Ram Charan under Konidela Productions Company. The film is said to be made on a high budget and Ram Charan is not compromising in the investments. The regular shoot of the film is currently in progress and the makers are going to release the film in Telugu, Tamil, Hindi and Kannada languages. The interesting addition to the film along with an ensemble cast is the voice over of Stylish Star Allu Arjun. Allu Arjun is approached to lend his voice for some crucial scenes in the movie. It is not confirmed if Allu Arjun accepted the same. Nayanathara, Amitabh, Brahmaji, Sudeep, Vijay Setupathi, Niharika Konidela, Tamannah Bhatia and others are a part of the project.